Personal Injury Lawyer Serving Lowell MA and Nashua NH - Nicosia & Associates, P.C. Nicosia & Associates, P.C is an experienced Personal Injury Attorney serving Lowell Massachusetts, Tyngsboro MA, Nashua NH and surrounding areas. A personal injury is one of the most emotionally charged and life changing events in a person or families life. It is for this reason that we at Nicosia & Associates, P.C. Attorneys at Law work hard to help you regain the stability in your life through protecting your rights. We pride ourselves on carefully listening to our clients and getting a full grasp of the situation in order to prepare a strategy that will result in the best possible outcome. Our knowledge of the legal community in the Lowell MA and Nashua NH communities is a great benefit to preparing an effective case for our clients. 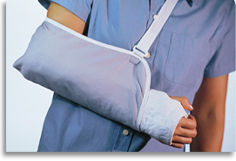 During the process of a personal injury case there are a number of unexpected turns that can come up. Some of these turns are caused by adversarial insurance companies and others created by the evidence in a particular case. Nicosia & Associates, P.C. Attorneys at Law is able to overcome these unexpected road blocks and make any changes to the strategy that are necessary to still have an effective outcome. It is vital that the attorney be able to take what comes in stride and work quickly to make alterations necessary under any circumstance. This quick thinking requires the experience that our firm has behind it. We understand how to deal with these insurance companies and their unfair settlement and claims tactics. While every case is different in every way, the experience that our attorneys hold and the ability to maintain communications with our clients throughout the process is what allow us to reach positive results more often than not. It is to this end that we work tirelessly with for our clients to achieve that winning situation from pre-litigation to jury trial judgment if necessary. The law firm of Nicosia & Associates, P.C. serves Merrimack Valley businesses, families and individuals for Business Law, Construction Law, Real Estate Law, Condominium Law, Civil Litigation, Estate Planning, Municipal, Law and Personal Injury Law in Massachusetts and New Hampshire, including such communities as Lowell MA Chelmsford MA, Tewksbury MA, Methuen MA, Dracut MA, Dunstable MA, Townsend MA, Pepperell MA, Tyngsboro MA, Westford MA, Acton MA, Littleton MA, Concord MA, Carlisle MA, Lawrence MA, Groton MA, Haverhill MA, Andover MA, North Andover MA, Billerica MA, Worcester MA, Burlington MA, Wilmington MA, Nashua NH, Pelham NH, Hudson, NH Salem NH, Manchester NH Middlesex County, Essex County, Suffolk County, Hillsborough County, Merrimack County, Belknap County and Rockingham County, Worcester MA and Boston MA. Disclaimer - This web site is designed for general information only. The information presented at this site should not be construed to be formal legal advice nor the formation of a attorney-client relationship. If you send Nicosia & Associates, P.C. Attorneys at Law an email through this website, your email will not create an attorney-client relationship and will not necessarily be treated as privileged or confidential. You should not send sensitive or confidential information via this website. Nicosia & Associates, P.C. Attorneys at Law may not be able to accept you as a client.When you submit information via the website, your information is sent through the Internet by Legal Websites LLC logounencrypted email.The transmission of sensitive, confidential information through this website should beavoided. This website lists past awards in its representative cases section. Past verdicts or settlements are no guarantee or prediction as to an outcome for your specific case. As the facts of each case are unique, a consultation with an attorney is necessary before any indication can be made about the outcome of your individual situation.